the house was great, clean and beautiful. The location was very comfortable and the view from balcony was lovely. The host was always on contact. I recommend it. Great location! Breathtaking view from the master bedroom! We visited Oikismos Akrogiali twice and hopefully will again. Owners are very kind and helpful people for everything you need. This year new furniture in the garden and air condition on the top floor. 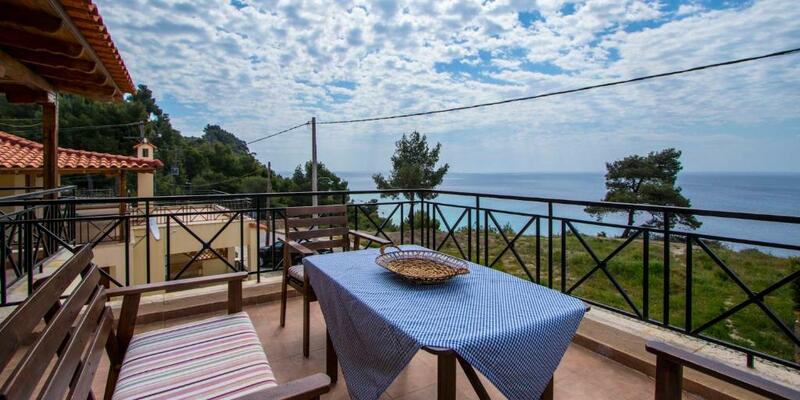 The apartmant is approximately 80m above the sea with stunning seaview. We found amazing private beaches nearby. The kitchen is well equiped, the house is cosy. A szállás a valóságban ugyanolyan, mint a képeken. Nekünk nagyon tetszett. 8-an voltunk kényelmesen elfértünk. Elhelyezkedése szuper, a part közel van, a központ közel van. Igaz minden megközelítéshez lejtőt, emelkedőt, vagy lépcsőt kell használni, de ezt feledteti a látvány és a minőség. Відмінне розташування, прекрасні краєвиди. Комфортна вілла з великими спальнями, вітальнею та терасами для хорошого сімейного відпочинку. Є усі зручності, які були зазначені в описі цього помешкання. Ми і наші друзі чудово провели час у відпустці! 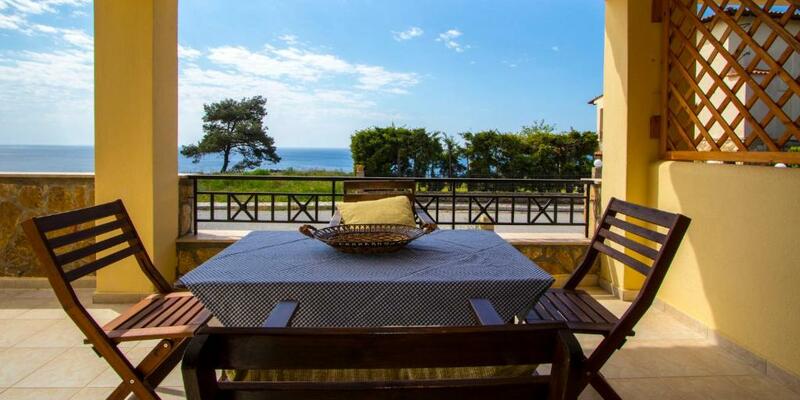 Excellent location, beautiful views. 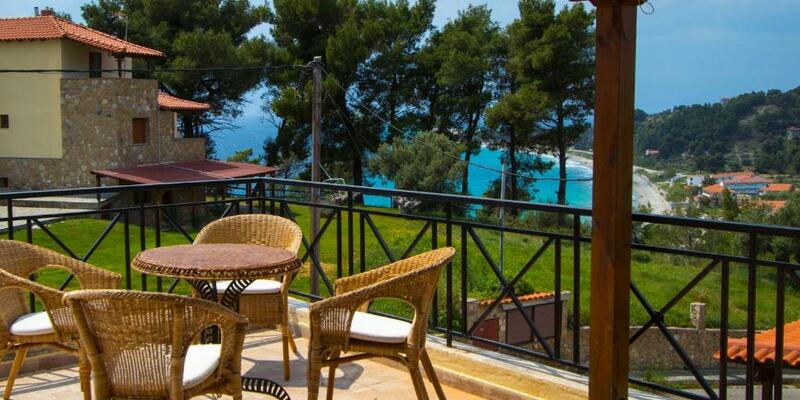 Comfortable villa with large bedrooms, living room and terraces for a good family holiday. There are all amenities that were mentioned in the description of this apartment. We and our friends have spent great time on vacation! O locatie frumoasă cu camere mari amplaste pe trei niveluri. La demisol (sau parter daca privesti casa din spate) sunt trei camere si o baie, la parter (daca privesti casa din fata) un mic living, o bucatarie si o baie iar la etaj o camera mare. Noi am fost cu 2 copii si cu una pereche bunici si a fost ok.
Pozitia este minunata. Vila bine organizata, multa verdeata in jur, curte ingradita, gratar, terase mari accedibile din toate camerele. 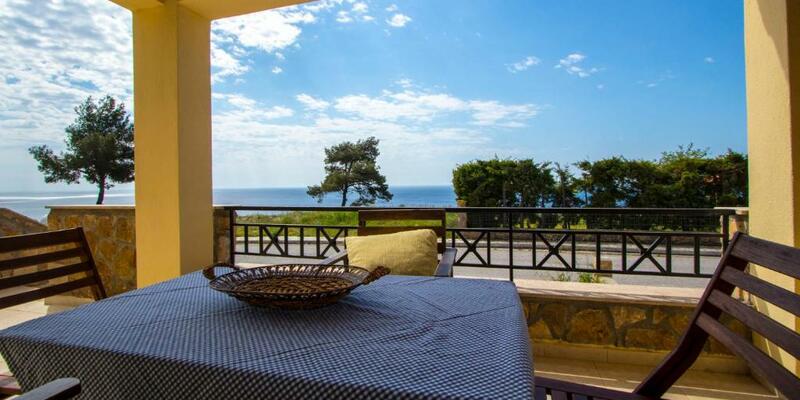 Lock in a great price for Oikismos Akrogiali – rated 8.7 by recent guests! 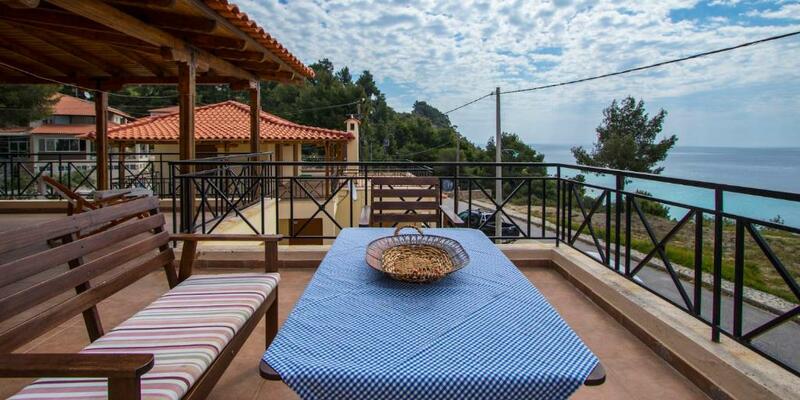 Offering unobstructed Aegean Sea views from its covered terrace or balcony, Oikismos Akrogiali in Posidi Village features a private beach area. Free WiFi is available in public areas. 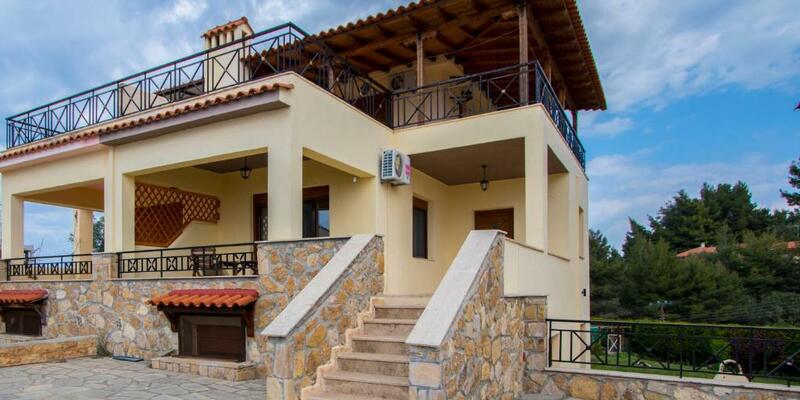 Each villa includes air conditioning, and a living room with a fireplace and TV. There is also a fully equipped kitchen, and a bathroom with a bath or shower, while some feature an additional bathroom. A washing machine comes standard. At Oikismos Akrogiali you will find a garden. An array of tavernas, cafes and bars is 650 feet away. Macedonia International Airport is 43 mi away. Free private parking is possible on site. When would you like to stay at Oikismos Akrogiali? Oikismos Akrogiali is a wonderful place for spending your vacation. houses are on the hill of Possidi, infront of the sea. The houses are appropriate for families with childern and pets. Our lovely customers can barbeque at the yard, go to the local market and buy fresh fish, enjoy a boat a trip or go fishing. I have study business Administration and economics with a Masters Degree in counseling psychology. I have been working in the tourism section for 4 years. Oikismos Akrogiali is a settlement on the hill of Possidi. 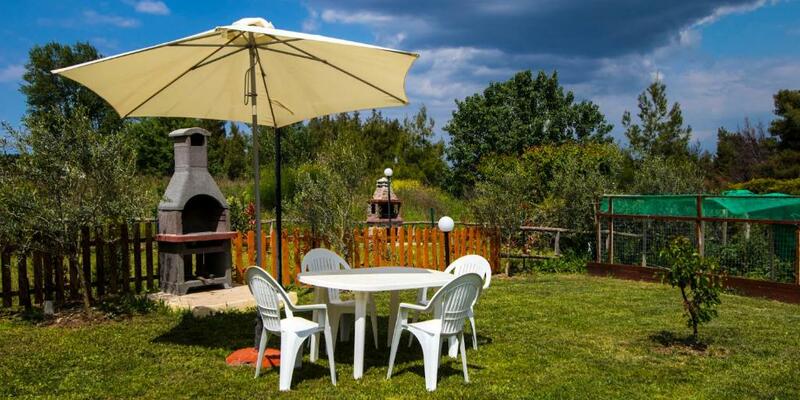 During the summer it is inhabitated by families. It is a piecefull, quiet place to spent your vacation. It is a safe environment where children can play. Most families have their pets and spent their time cycling, fishing, swimming and doing other activities. House Rules Oikismos Akrogiali takes special requests – add in the next step! Oikismos Akrogiali accepts these cards and reserves the right to temporarily hold an amount prior to arrival. Please inform Oikismos Akrogiali of your expected arrival time in advance. You can use the Special Requests box when booking, or contact the property directly using the contact details in your confirmation. House for up to 10 people only 4 spoons kitchenware wornout, 4 chairs inside and 4 out - had to move them all the time. Could be lot cleaner. No cabinet in the bathroom. for two days we had no internet connection. The host told us that is was storm 2 days ago. It was a little hard to get used to the stairs that took us to the beach.